Club Penguin Cheats by Mimo777 Club Penguin Cheats by Mimo777: Club Penguin Yeti Caves and Igloos! Whoa! Check it out! Finally the Club Penguin cave items are making sense! Club Penguin says there will be Yeti caves around the island soon! Hmm, does this give any of you clues about what is happening in the Mine? Won't it be awesome when we can all "rock" our iggys? Ask me a question for my very first audio interview! I think you are right mimo. Nice! I just refreshed the page, and a new post was there, lol. I think this gives a clue about the mine, that could maybe turn into a mission place! And i also think there will be new "rock" iggy's like Mimo said. I have an idea! the rockslide could make a path to a new place for cave igloos to be! or they might find an item to make cave igloos! and i just got another brainwave. (i think it is waving goodbye lol) but anyways the rockslide might destroy the wall that was there before to uncover an ancient penguin cave. lol. And yeah i know the joke in bracets is cheesy. Ok Mimo nice joke with the Rock! Lol! Aww cool!! I just did same with Hmoo22 lol! That's a door of an igloo. And the Yeti Caves are new igloos that you can buy soon. Love the joke about the rocking the iglooooo's!! You are saweet! Yeh i think its going to have something to do with the new mission, you know, a big build up to it. i think we will have to dig the rockslide away and then there is a door! Hey Mimo! Um can you tell me where the party is, because this is the first Mimo party I know. The next mission might be about the golden puffle! Beacuase the last mission was about the golden puffle remember? and Herbert took the golden puffle! So its i think somethin about the puffle and Herbert. I want a skate park! mabey its a new room mimo!! cave-rockslide-mission- DS game... it all makes sence mabey next friday is the new mission!! I've got some info on the orange puffle. i cant copy the image onto this but i know the orange puffle's profile. That has happened to me before, too! Yeah, let's wait till Friday! And since when is Mimo wrong? Lol! "Rock" igloos! That's funny! Also: you're not suppose to put CPG Mod in your name unless you are answering a question (or actually BEING a CPG Mod, that is). Nice idea! Maybe that's gonna happen! We may never know, though... that is until it happens! lol nice joke at the end there mimo, and my parents surprized me with a month membership cause i didnt get it for christmas and now i can buy iggy stuff! Sorry again but I forgot to say I just got epf and the same day I beat it! ha ha! Sorry, he can't do that. First Mimo CP party? Kool! They're a lot of fun. Enjoy yourself @ one! very good idea, i would have never guessed that until i say your post, no that is another possibility i am putting under consideration. Wii will....(get it? WII will? yeah.....) I meant we will...just jokin' around. Are you still quitting CP or are you staying? PLZ DON'T QUIT!!! WE LOVE U WII!!!!! P.S. Wanna join us and be the CPG8? congratulations, have fun being a member! that would help some people out to, but it wouldn't be as fun if he told you, as some smart dude once said " getting there is half the fun" and the eulc's are most of getting there! that looks like the inside of a cave igloo. ih and mimo have u ever noticed that on the map the there is a building on the ski hill but if u go there its not there?!? u know wat u might b right nice thinking! looks like herbert made a new friend.....a yeti! Cool Mimo! I am on my new Dsi. I got it for my b-day! Today is my b-day! I am 11. Sorry I havn`t been modding. I`ve kind of been busy. Tomorrow I will start modding again. ih and mimo have u ever noticed that on the map the there is a building on the ski hill but if u go there its not there?! Because they are talking about 'Yeti' This makes it really suspcious. Does this have anything to do with the new mission? The rock thing at the mine could turn out to be Herbet the Polar Bears house! The yeti caves are most likely the blank screen at HQ. Mission coming soon? I, and all my peeps, hope so!! BIGFOOT ROCKS! The Golden Puffle was only bait for Herbert in the last mission. Awesome! You will have a lot of fun with a membership! I hope to see your soon-2-be awesomely decorated iggy on the map! Cool! I am a member, and I have been a member for..... ummmmmmmm....... hold on, it's coming..... I GOT IT! I DON'T KNOW!!! I have been on CP for 1002 days now....... And people say I could never make it this far! Have fun with your membership, and a word to the wise, DURING YOUR MONTH, BUY LIKE 3 CP PLUSHES AND UNLOCK 3 COOL ITEMS!!! THAT WAY, YOU HAVE SOME COOL STUFF WHEN YOUR MEMBERSHIP RUNS OUT!! NO TOO MANY PPL! No, no, no! Jk, jk, jk! Don't cry! :D I would luv to have another member, and be the CPG8! YEAH WE LOVE YOU WII! Am I worthy to join CPG7? You can say no if you want to, I don't blame you if you do. I am now part of the CPG8!!! How do you make pictures if you cant copy the CP pictures online? Maybe you need a Yeti costume to enter? Yah that's a good idea! You are probably right! Congratulations! I saw you at Hnwjanuary11's party! (usually FN and F6 together) then go on either paint or word and press paste! Wait does that mean theres gonna be Club Penguin and Yeti?! wow i might buy a yeti membership... maybe not... oh its probably wrong so why am i even thinking about it?! Lol me too, mabye im always on this site at the wrong times lol. Hey Mimo. I think that by Yeti caves they meant our igloos. But, the rockslide could lead to that yeti cave from the great maze. Or maybe it could be for a new mission. Or maybe the rockslide could be some new mystery that involves making them have a new mod. Like rockhoppers, ect. Hey Soccebro22! I'm sure it was a mistake that you made out of habit of modding, but try not say (CPG MOD) after your name unless your modding. I hope not. Because that would mean another Members only thing. As a member, it would be fun, but I'm thinking soon there aren't going to be a lot mre non-members if Club Penguin keep this up. I know they want moore members, but if they do anoother Member only thing in a row a lot of Non Members are gonna quit. Actually, you can copy Club Penghuins pictures, but only from the blog. But if you want to make your own picture, Click the "Print Scrn" button on the top right hand corner at the time you want to make the picture. Then go into your picture editor, (Paint, Draw, whatever you have) and click "File" then "paste". The screen you had when you clicked the button will appear, then all you have to do is edit it to what you want. To be a Mod, all you have to do is answer people when the have questions, then type your name at the bottom of your answer beside (CPG Mod) so that Mimo knows you want to be one. If you keep doing it for a while, Mimo will add you to the list of Mods and as you keep doing it you will get promoted. That would be awesome mimo. Of course! Yay we're the CPG8! Oh, are you a sis or a bro? You mean a Mod? Simple! Answer ppl's questions, and congratulate them. Be nice, be correct, be helpful. And be warped! JK, u don't have to, but u can! For more info, visit the mod rules. Their link is just under the mod list. Good luck, and happy modding! Nice idea! But remember that there is already the spy phone so you dont need to port to the mine with a new secret door. what is the point of that? Yeah it sure does look like a new mission. It would be fun to do a mission after a long time. What do u mean by CPG8? I thought it meant 8 Mods but there many more. Or does it mean that 8 mods are currently modding? The CPG8 started as the CPG3, made up of Syka, (me) Hnwjanuary11, and Kkkkk123. These were the 3 original members of the CPG8. We were all girls, and really liked each other, so we started calling ourselves "sisters". I made up the name "CPG3" and it stuck. Soon after, Polkadotblu9 asked to join us, and we said yes without hesitation. We were then the CPG4. The CPG4 soon grew to the CPG8 with the addition of Sweetflame12, Racet2000, Karate Song, and Toysgoneby. We are not all mods, we're just good friends who love CPG and each other. (friendship love, not love love) Get it now? CPG8 ppl, I am monitoring the votes, and will reval the results after a week on both Polkadotblu's blog and CPG. maybe it ha something linked with the maze afew weeks back... And we got a free yeti costume. Also in partys back that was the hole into another room, I am not sure what it was now, maybe it was the one were there was afew things to do like throw snowballs, and we got Armor, I guess that was the medieval party now lol. Also I;m sure there was a more recent one were that hole was a way into somewhere. i want oarange puffle soon i cant wait till the next puffle party in january. No, some of us are mods but the main purpose is that we are friends who love each other. I want orange puffle too! I NO!!! a secret room!an all members secret room! Vice President: Kkkkk123... again, awesome! Head Bro: Racet2000.... you rock... LOL.. memories! nice idea, herbert has freinds? it's gonna be hard! i'm so excited! I am A BRO!!!! Yay!!! Mimo! on the membership website it says Explore a mysterious new secret area, This means that there will be a new room! 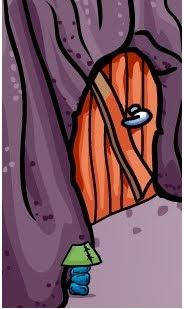 no umm the door is not in the mine its at the outside of the shack... well sorry if i hurt you. waddle on! Why are you so sure of yourself? Maybe you are right, maybe you aren't! I vote Syka prez and Kkkkkk123 Vice prez, and Hnwjanuary secretary! Cool! Soon it will be all the mods and we will have to make a group inside of a group. LOL! Awesome eye, sis! Will it be the Yeti Caves...? Eww I'm not old! ;) Jk! Yeah Syka should definitely be the Prez, and Kk should totally be Vice! Yeah CP should totally have more non-member rooms! I saw BOTH of you! About a quarter of y'alls who are reading this comment came, lol (Y'alls? Weird word)! And about three quarters of that quarter is on my CP buddy list! (Did that make sense...?) Thanks to everyone who came! Aww thnx! (Have you been folowing us...? Creep! Just kidding as usual! ;]) Seriously though Syka should be Prez! Not me! She is more worthy and has lots of good qualities that make her a great Mod and soon to be (maybe) great CPG8 Prez! Don't be discouraged! That would be really cool! You should send an email to CP saying that Disney should make a website: Club Yeti! I would totally join! Remember about my good friend, Queen Binawa's party on Monday! Server: Snow Drift, time: 11:00 Club Penguin Time. I don't know the room, and I know that "Binawa" (I can call you just Binawa, drop the Queen for an abbreviation right?) isn't a member. My guess is that it's at the Dock or the Ice Berg, some of the most common party places! Please with extra sugar on top! It happens to everyone even me! Good Thinking! I like it! Mimo i just found out that there will be a new room in the mine they are building it right now!!! it says in french on the website in the club penguin membership page! it says:Explore a new mysterious secret location! Good Guess It Could But We Have To Wait And Find Out! Oh Muffins!!!! (Remember Hnw!!! LOL.. memories!) I forgot to do the bold thing Hnw taught me!!! MUFFINS!!! Mabey It Will Be A Members Only Room At Fist? _______----__________---_________----________-- Yeah, we love each other... JK... LOL Yeah, That's the scoop!!! Hey syka! Can I become a member of the cpg7? If you mean mod, it's simple! Just answer questions, then put (CPG mod) next to your name. I think he does screenshots. If you have a PC just find the button that says prt scr. then go to a cropping system and crop it by pressing paste then you're set! Can i join the CPG8? Am i worthy to join? I mod whenever i get free time! I love CP! cool! im gonna buy a yeti cave ASAP this is soooo exciting i bet it has something to do with the mine thingie!! lol im a boy!!!! and also can I join CPG 10?